Anthem is coming to PC, but the system requirements for the game can be a bit hefty. Anthem is a pretty huge game from BioWare, and it could take a pretty powerful rig in order to run it smoothly. In this Anthem PC specs guide, we'll be providing you with a complete list of the minimum and recommended PC system requirements for BioWare's new game. But if you instead need any additional information on anything else relating to Anthem, you’ll want to head over to our complete Anthem guides hub. Here you can find all the details you need on all four Javelin classes in the game, as well as a story primer for the game. In the guide below, you can find all the information you need to run Anthem comfortably on your PC, straight from EA. We’ll be dividing up the lists into the minimum PC system requirements, as well as a list of the recommended PC system specs, for a smoother ride. CPU: Intel Core i5 3570 or AMD FX-6350. GPU RAM: NVIDIA GTX 760, AMD Radeon 7970 / R9280X. HARD DRIVE: At least 50GB of free space. CPU: Intel Core i7-4790 3.6GHz or AMD Ryzen 3 1300X 3.5 GHz. GPU: NVIDIA GTX 1060/RTX 2060, AMD RX 480. 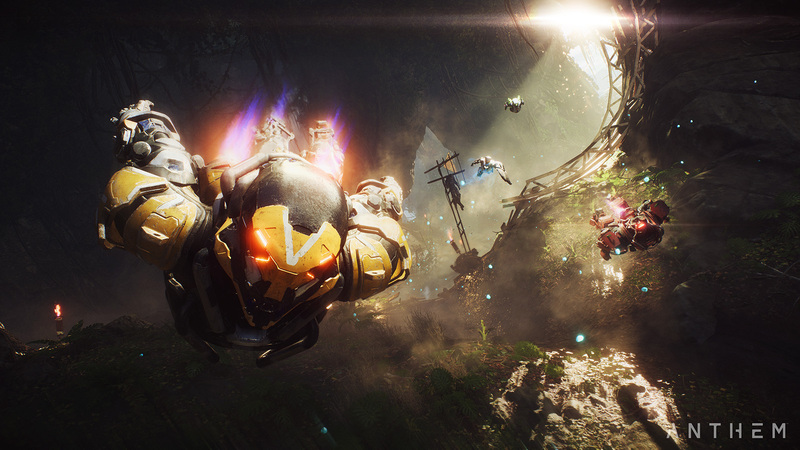 And that’s all the information you need about the PC system specs for Anthem. Now that we’re done here, you can head over to our Anthem Ranger Javelin guide, or our Anthem Colossus Javelin guide, for information on either version of the Javelin exosuit classes. This is your guide to becoming Thanos in Fortnite and finding the Fortnite Infinity Stone locations, as well as how to find the Mythic Avengers items in the Endgame LTM, and more.